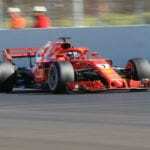 2018 F1 Season Preview: Who is facing a make or break season? There’s a fine line between success and failure in Formula 1, and with the new season only a few days away, Craig Norman looks at the drivers that could find themselves gunning for a coveted seat on the grid, or fighting for their place in the sport itself. 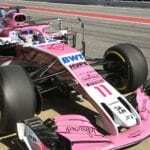 Read what Sahara Force India's Sergio Perez had to say after completing 93 laps of the Circuit de Catalunya on his penultimate day of testing ahead of the season opener. With the front runners already having received their grades, it's time for the midfield contenders to be assessed.Rob Watts takes the drivers of Williams, Force India, Toro Rosso and McLaren to task. ...the man they know as the "tyre whisperer"! Laura Leslie takes a look at a few special helmet designs drivers have worn over the past few seasons, now that they're technically extinct. Here's the shiny new McLaren MP4-28, the car that Jenson Button and Sergio 'Checo' Perez will use to challenge for the 2013 World Championship - Like? The new Sauber C31. It's got one of those odd looking noses too, darn. Sauber star Kamui Kobayashi says he's feeling good ahead of next weekend's European Grand Prix as the Japanese racer looks to extend his record of six straight races among the points scorers. Sergio Perez has suffered no serious injuries in his massive Monaco qualifying shunt. The Mexican racer has concussion and a bruised thigh, ruling him out of tomorrow's race but, thankfully, the initial fears for his well being have been quelled.